The highlight of our trip was dinner the first night at The Henry Ford Museum. 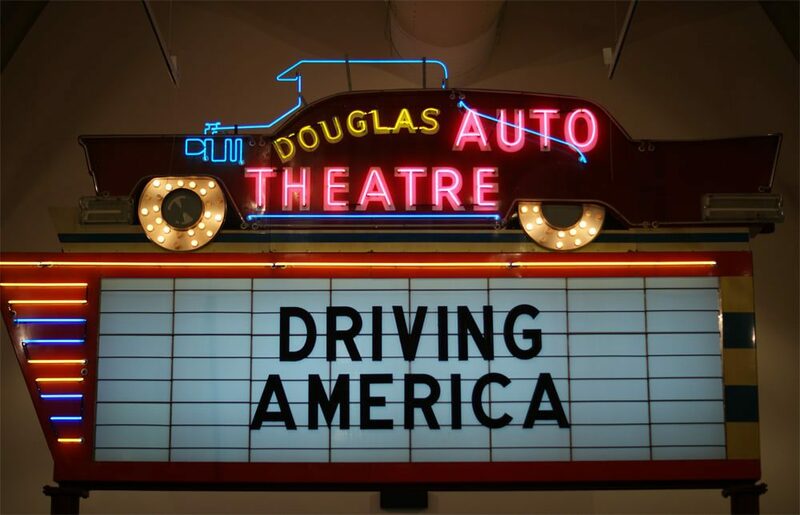 We were given a sneak peek at a new exhibit that opens next weekend, Driving America, which really shows not just the history of mobility but the culture surrounding our vehicles throughout the 20th and 21st centuries. 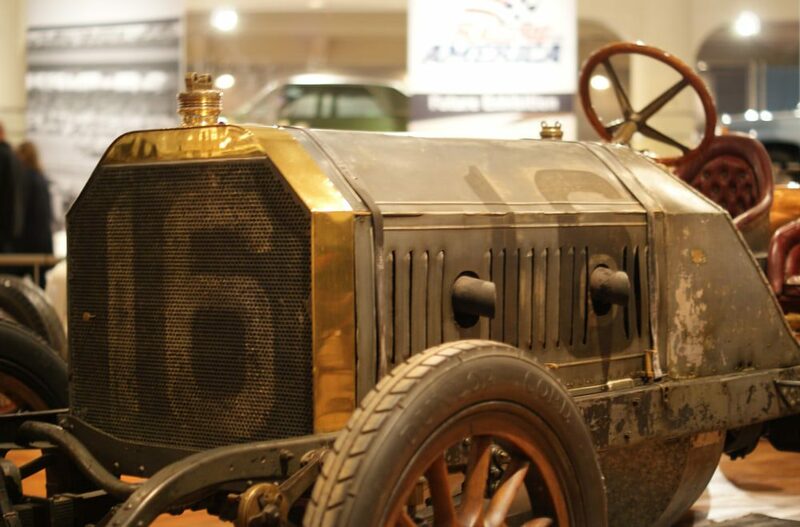 The Henry Ford, which is a private foundation that is operated completely separately from Ford Motor Company, is dedicated to showcasing the people and ideas that have fired our imaginations and changed our lives. Sean and I had so much fun touring this museum and seeing not only the cars but also the furniture and pop culture of different eras. We also learned just a little bit about Henry Ford Academy, a public charter school that actually meets in the museum and nearby Greenfield Village with a mission to “develop critical thinkers, life-long learners, and responsible global citizens prepared for college, career, and global community.” Even though we’re committed to homeschooling, I have to admit that it’s an option I’d want to seriously consider if we lived in the area just because it’s such an incredible opportunity for high schoolers! 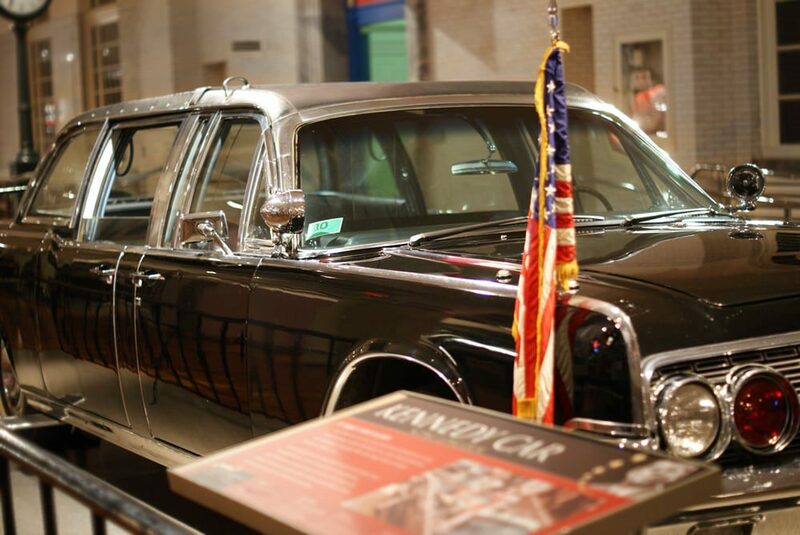 Yes, that is the Kennedy car — the one President John F. Kennedy was assasinated in — above. We also saw Reagan’s car, the chair President Lincoln was assassinated in and the bus where Rosa Parks refused to give up her seat and literally changed the world. Now, y’all know I’m not that sentimental, and I generally consider stuff just stuff, but it was very overwhelming to see these things in person. Typing these words today, 10 days later, I am still getting emotional at the memory. Talk about being able to reach out and touch history…it’s just incredible! What I really walked away with, though, was an appreciation for Henry Ford as an innovator. Maybe the innovator. While so much focus has been on Steve Jobs in recent years, especially since his death (and there’s no doubt that he’s had a powerful influence on business and culture in this era), I’m not sure his impact is even comparible to that of Henry Ford. He paid employees $5/day, double the industry standard for a day’s wages. He created opportunities for physically and mentally handicapped employees and even ex-convicts. He created educational facilities in the workplace, starting with the English Language School at the Highland Park plant in 1914. It’s really fascinating to learn more about Henry Ford and the impact he’s had on our culture (and around the world), and I’ve added several Henry Ford biographies to my Amazon wishlist! This commitment to innovation is one that Alan Mulally, the CEO of Ford, and the rest of Ford Motor Company share. 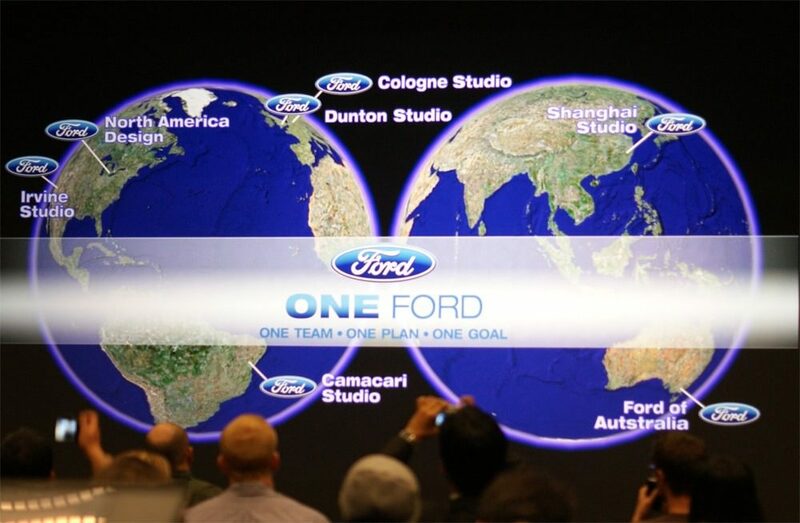 The One Ford initiative recognizes how small the world is getting and makes Ford a truly global company. It means that Ford is designing cars that can be sold around the world rather than only in smaller markets and that their design teams and labs across the globe all work together.